Childhood is a stage of life that is full of learning through fun and games, getting to know the world around you and feeling carefree all day, worrying about which toy to play with. This is something every grown up can envy. Part of this blissful period is also the kids’ room as it is the place where all the magic happens, so it is important to make the most of the space and fill it with brain-stimulating elements. Though it sounds like a process that can be done with a lightweight approach, there is much more to designing a kids’ room than meets the eye. It’s one thing designing a nursery, and it’s a completely another thing turning it into a room fit for the different stages of your kids’ childhood. Since kids grow fast, you will soon wonder how is it that time flies so fast and find yourself in the situation of having to change the room over and over. It can be both the waste of time and money when done frequently, so the key to a long-lasting outcome is finding ways to add affordable changes every now and then respective of the age of your kids. As first, when you enter a room, whether consciously or not, you notice the walls. 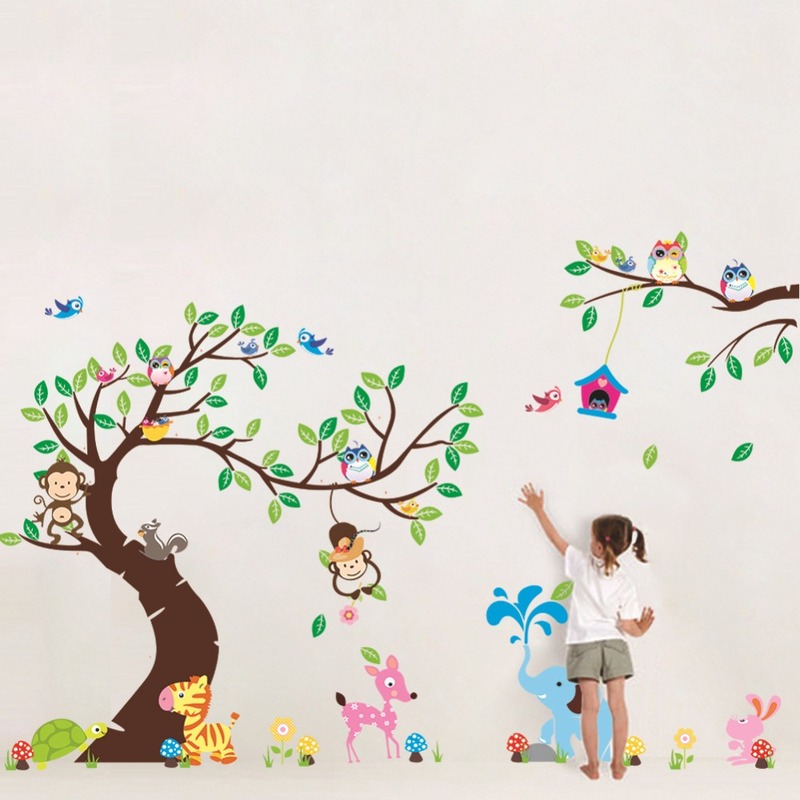 Walls have a great influence on the overall interior, and with so many kids wallpaper designs available you will be able to find the colours and patterns that would suit your kids’ taste. From the different shapes, animals, numbers and letters of the alphabet, there is plenty to choose from. Wallpapers are the perfect option for the fleeting tastes of children since they are affordable, can either decorate a whole room or be hung over a wall that could be the accent and their washable properties make them require low maintenance so you can remove drawings and stains effortlessly without causing any damage. 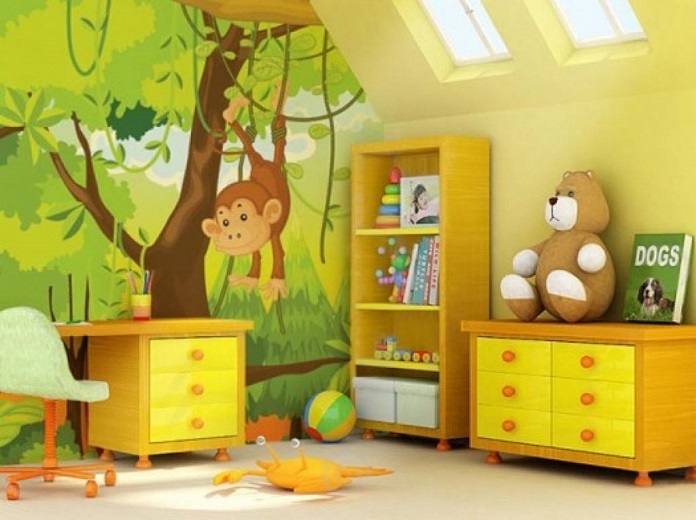 From the variety of kids wallpaper designs you can choose themes and cartoon characters and as soon as your kids grow out of that and get well into teenage years you can hang some cityscape wallpaper for instance. Furniture also takes up most of the room, so it is advisable to invest in furnishing that is durable and isn’t that compact only made to fit kids in preschool ages; choose a wardrobe that is spacious enough for the clothes of your children for years to come. The same can be applied to the desk and bed, choosing bigger ones of quality will save you from buying in the long run, plus a bigger bed means your kids could have their friends over for slumber parties. Make sure you include your kids in the designing process and accept a few suggestions here and there. You can have them amp up the style of the room with accessories of their own choice, pick their favourite toys and bits and pieces to display so that they, as much as you, will have a memorable designing experience.